BNN wishes to thank all who remained faithful to us. More adventures, more pictures, more inspirations coming soon. Revisit the places we have been, places you should go and what to do..
Watch funny clips, photos and stories. From time to time we put some clips or photos to let you see BNN's lite side. Now you can follow Baul ni Noel on Twitter or Facebook. Wow! It's 2018. 2017 was a great year for us - I think every year it is to us. But it was truly a great year because we've been to places where we've only dreamed about before. We've been to Europe, and it was plenty of fun and it was a whole new experience for all of us. The whole family enjoyed the feeling of travelling on a winter season - at least winter without snow. But this is not about our travel. This is about Savings. I know our travel involved a lot of expenses but we tried to save as much as possible during our trip. Savings is important but how are we going to save money and at the same time Invest. Saving, it is something most people neglect to do nowadays. Most are busy investing on gadgets. If not gadgets, accessories for their gadgets'. And when new gadget comes like the IPhone X, they'll want to buy the new one and dump the older one. When I was a child, I was taught by my parents to save money. I love saving. I have my own bank account at BDO - Banco de Oro. I even encouraged my younger sister but she has a different calling coz she loves spending - at least that is how I remember it. Now I am mentoring my eldest son and encouraging him to save money. I told him the benefits of saving money. But what I teach my son is something different. My parents never had a financial literacy studies before so they have no idea on how to make that sleeping money to work while you are sleeping. Yes, you heard me right. If only my parents were financially literate, they would have told me to invest in somewhere the money could grow more. Banks are just like piggy banks made of tall buildings. The interest is so little you hardly notice the change in your money. So where do we save? Where do we put our money? There are places where you could put your money and cash it out at a larger value. I will only name a few which are accessible for OFWs or Overseas Filipino Worker. If you are a stock trader then you know what I mean. It takes a lot of patience when you are trading in stocks. The most ideal is when you trade blue chips. Examples are SM, BDO, Jollibee and Ayala Land. There are more to mention. BUT, yes there is a but. Always diversify your investment. Do not put all your eggs in one basket. If one basket brakes, you will lose all the eggs but if you diversify, you'll lose some but win some too. Blue chips rarely drops at the same time, some go down but some go up. If you are patient in studying the charts, you'll have greens on your portfolio after a year or two. There are trade platforms like COL Financial for Philippines stock trading and also the famous international platform eToro. When you put your money in Mutual Funds, it is like you put your money in a diversified stocks. The only difference is that with Mutual Funds, you have a financial adviser. So if your money grows, he has a cut on your profit. This is the best for starters in trading. There mutual funds that are online and there are some offline too. Still you have to study carefully which mutual fund to put your money. There are cooperatives local and abroad and their are different kinds of purposes. Most common cooperatives are the lending. The problem with these cooperatives are when people were unable to pay their debts or loans to the cooperative. Most lending cooperatives end up bankrupt because they lent the money to bad debtors. There are thousands of cooperatives in the Philippines. Some say that their are still scams scattered in the form of cooperatives. I believe some just went broke but they are really legal. My advice is to find the best cooperative with best facilities and should be computerized. One great thing about being in a cooperative is that you are not just a member but also a co-owner. There is one particular cooperative I am engaged with - Nutriwealth Multipurpose Cooperative. They are into a lot of business (eg. Farming, Livestock, Manufacturing, consumer and they are the only cooperative that has their own mall. They are focused on educating the co-owners financial literacy. Of course part of the lesson is to save and invest that is why you are required to save in their Time Deposit plan with a 12% compounding yearly interest. Now compared to banks' time deposit, banks highest interest rate is no higher than 2%. It's best that you just keep your money in your pocket if that was the case. You can save as much as 1,000 per month and get your money after 5 years with a whopping 12% interest that is compounded yearly. Instead of getting the 60K plus interest of 2% yearly and less tax - it would probably be around 64K. You will get 81K at Nutriwealth Cooperative. 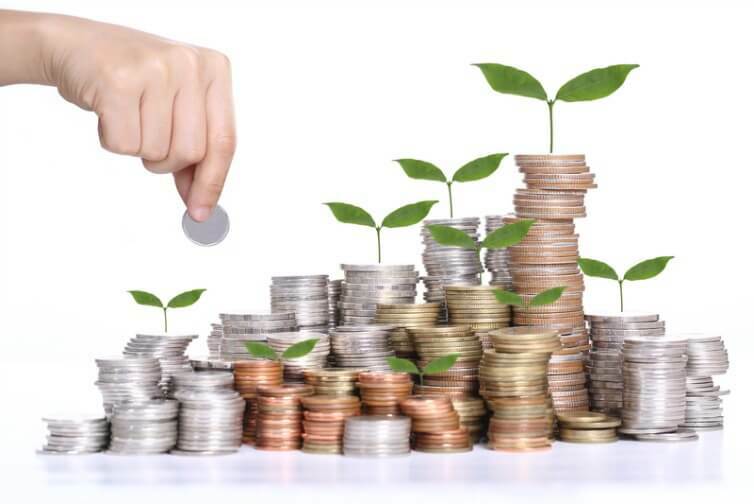 There is also a shared capital which is required on all cooperatives which is part of your ownership and which will earn you a dividend per year - the more you put your money on the shared capital, the more dividend or profit sharing you'll get. These are the only options I see fit and accessible for Filipinos working abroad. Some options sadly needs your attention which means you have to go back to the Philippines and see to it that the business runs smoothly. Hope you find this useful and have tons of fun saving money. It's been ages since I've blogged again. 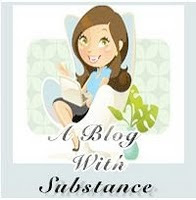 Do I still know how to blog? Well, I guess so. I don't even know if there are still people reading my stuffs here. Anyways, my absence in blogging made me feel quite less confident in blogging now but I feel that this newly found interest will best help me and my family with regards to financial education. Yes, financial education or financial literacy. If you know how to manage your money, believe me it's more help than earning more profit from extra jobs but combine them and you make more profits. Anyways, this blog is still about family, being an OFW, spiritual and with a brand new tag or label called "financial literacy". Coz I believe that Filipinos need a lot of information on how they can manage their money and how they (you) can earn for the future. I'm not saying I am there already but we are trying to do that - with the support of my wife of course. This is a bit too late I know coz I've seen a lot of OFWs leaving their post after they've been relieved of their job. Like recently, the mass termination of expatriates here in Saudi Arabia on most construction companies like in Bin Laden group. My previous company also got hit hard and most of its manpower was ordered to be sent home. Now, there were thousands of Filipinos that went along with them. Some of them were just new but some were already working for a few years while others could probably be ages already. Now, if only these people were trained or educated of Financial Literacy so they'll know that there are other means of income. Specially to those who have been here for a long time, if they have prepared earlier then they would have been secured already even if they lost their job. Financial literacy education is a must for all Filipinos, I even believe that it should be in our school subjects. So that is it for now. See you in the future post - about FINANCIAL LITERACY. Believe me, it will help you or could change your family's life forever. I think I need a new layout for this blog. 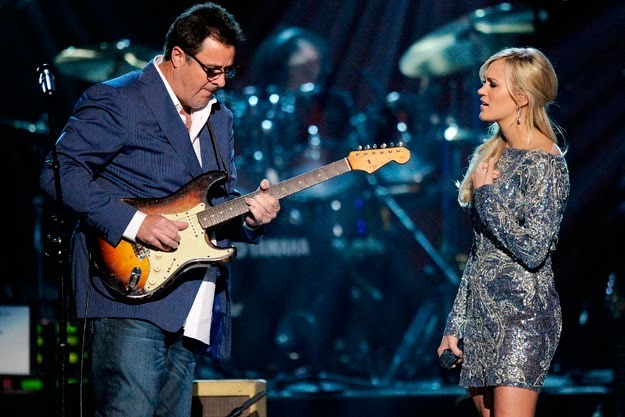 I would like to share this great song performed by Carrie Underwood and Vince Gill. A great and powerful performance and a great rendition of "How Great Thou Art". Hope you like it too. According to Wikipedia: How Great Thou Art is a Christian hymn based on a Swedish poem written by Carl Gustav Boberg in Sweden in 1885.. It's been a favorite of most Christian singers and has been sung in different renditions. So far this is a new favorite for me. I totally forgot about my online life here at the Baul but not to worry, I've never really neglected you my dear Baul. To all my readers, if there were any. Belated Merry Christmas to all and Happy New Year to all. A few more hours and it will be a whole new different year. 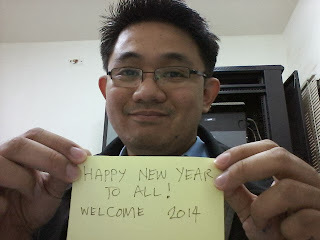 Let's all grab the great things we can grab from the year 2013 and leave all our worst things to the past. Let us step forward with a brand new perspective and better outlook. Let us learn to surrender to God what this year will bring us all - I know, I've surrendered all to Him last year and He brought me and my family great blessings this year. May all of you have a blessed and prosperous New Year. God bless you all.